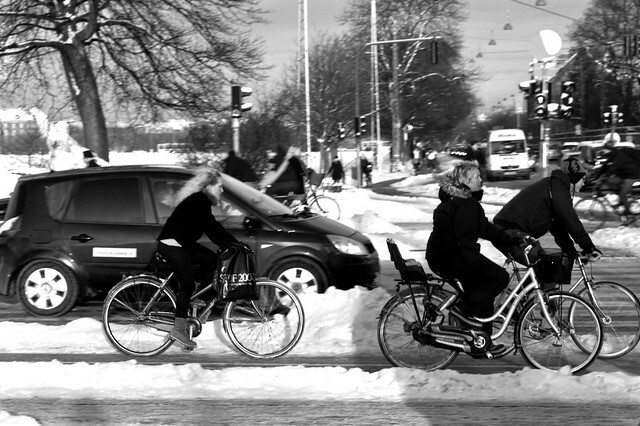 Sometimes it's easier to let the photos do the talking. 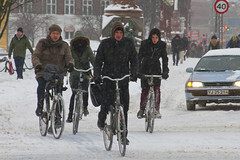 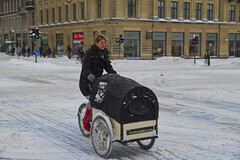 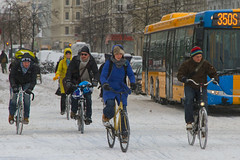 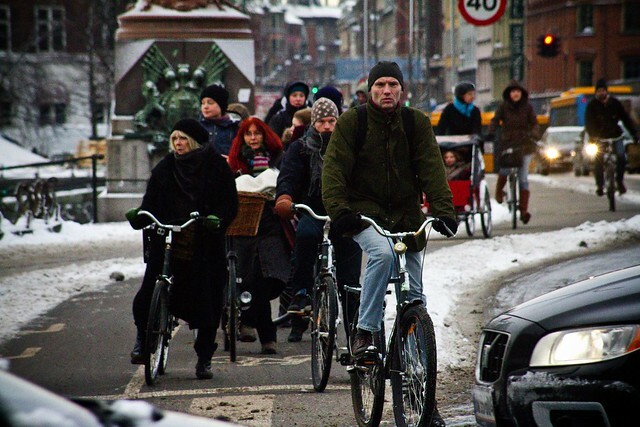 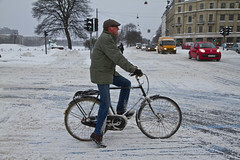 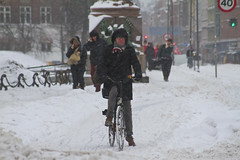 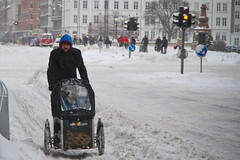 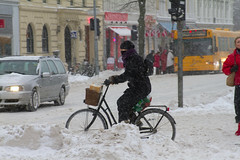 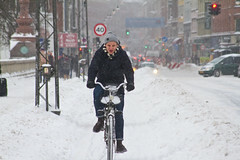 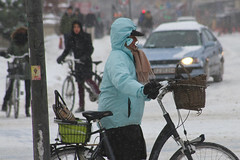 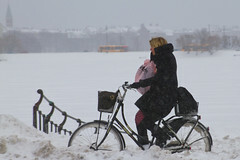 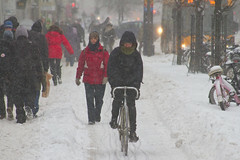 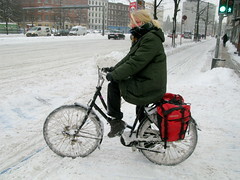 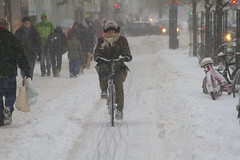 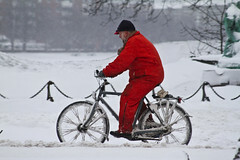 As mentioned before, 80% of Copenhageners cycle through the winter. 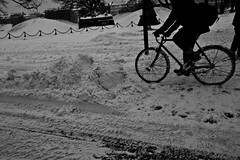 That number is surely lower when we have hard winters with snowstorm after snowstorm, but the numbers are still impressive. 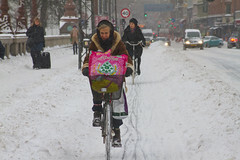 Impressive to me. 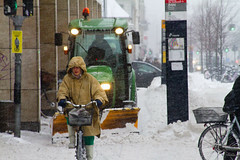 Probably astounding to others. 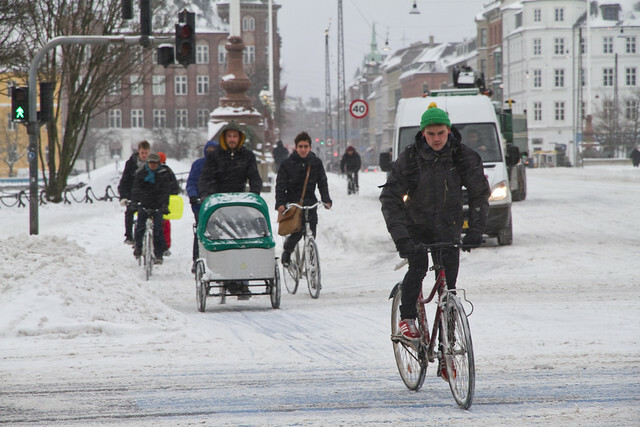 If you make the bicycle the fastest way to get from A to B in a city - what we call A2Bism for bicycles here at Copenhagenize - the strangest people will be spotted on bicycles. 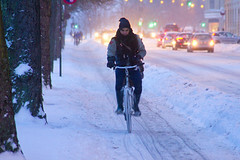 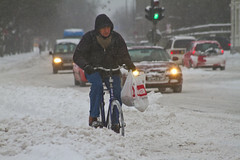 If you prioritize keeping your bicycle infrastructure clear of snow, people will ride. 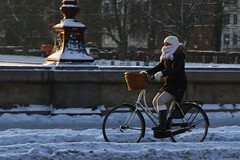 In most of these shots the temperature was well below zero. 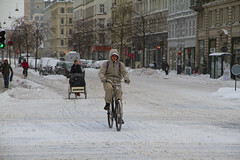 Much lower with the typical Copenhagen wind. 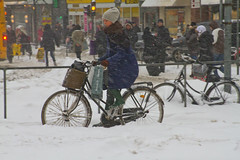 And no bicycle studs were harmed in the making of this blogpost. 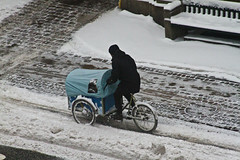 I never see them here and wouldn't possibly know where to buy them.